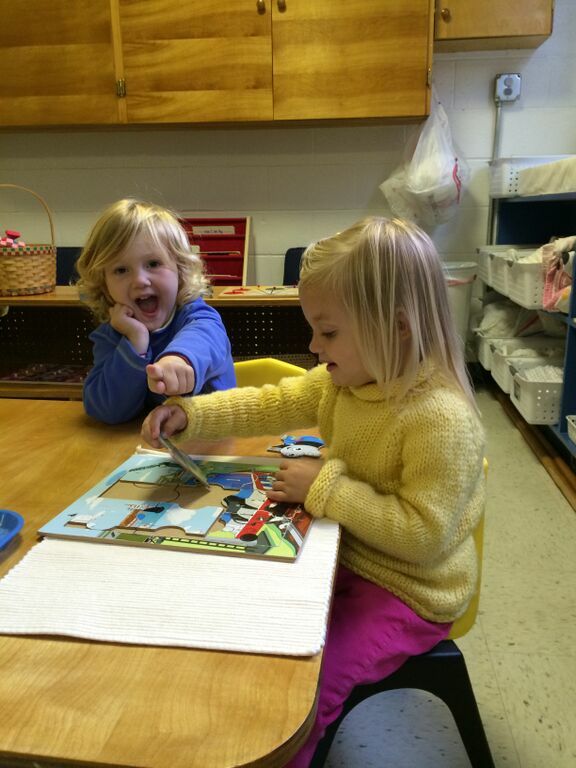 Our Transition Program continues taking advantage of the toddler’s natural drive to act independently. The classroom is attractively prepared with the needs of the highly sensorial toddler in mind. Toddlers explore with special materials and activities that help them move, speak and function independently. They absorb knowledge from everything they see and do. The children become aware and sensitive to the needs of others and develop a greater sense of helpfulness and tenderness to others. Our gently community environment instills a love of learning while facilitating independence and exploration, friendship and cooperation.